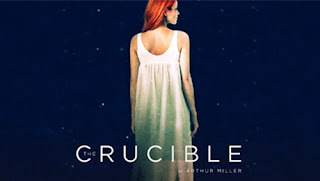 Arthur Miller’s classic American drama, The Crucible, is coming to the Theatre Royal in Glasgow next June, as part of a major UK tour and stop in Luxembourg in a new production by Sell A Door Theatre Company and The Queen’s Theatre Hornchurch in association with Les Théâtres de la Ville de Luxembourg. Opening Tuesday 21 February at the Queen’s Theatre Hornchurch, The Crucible will also have performances in Dartford, Cheltenham, Aberdeen, Luxembourg, Richmond, Manchester, Brighton, Cardiff and Birmingham. Starring Charlie Condou [Coronation Street], as the witch-hunter, Reverend Hale, this new production of an American classic is directed by Douglas Rintoul, Artistic Director of the Queen’s Theatre, Hornchurch, and takes a Brechtian look at this violent story of frail reason in the face of hysteria. Following Rintoul’s recent hits at The Queen’s, Made in Dagenham and Much Ado About Nothing, this atmospheric staging of The Crucible promises the same level of quality and acclaim. 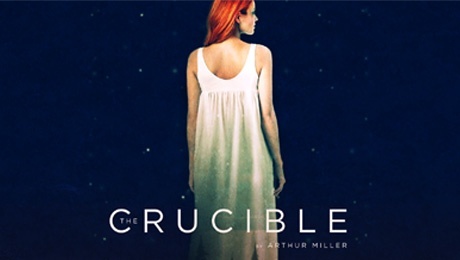 One of the twentieth century’s landmark plays, Arthur Miller’s The Crucible stands as both a historical record and a political parable for our times. The unrelenting witchhunt, violence and allegory of the brutal McCarthyism of American politics in the 1950’s resonates with an unnerving clarity now in a post-Brexit UK where violent mob mentality and race-driven hate crimes are on the rise.